Great admiration on Facebook and other social networks generated two police rescue officers, who risked their lives to rescue a dog that was dragged by a huaico in Moquegua . The force of nature hit Moquegua and is that this region has been heavily hit by heavy rains and huaicos. Precisely were a couple of photographs of the ravages of the Huaque in Moquegua which quickly viralized on Facebook. But this time it was not the terrifying nature of the force that drew attention, but the gesture that two rescue officers had for an animal in danger. As can be seen in the images posted on the Facebookpage of Radio RCC Tacna, the police officers rescued a pregnant dog that was dragged by a strong huaico in Moquegua . 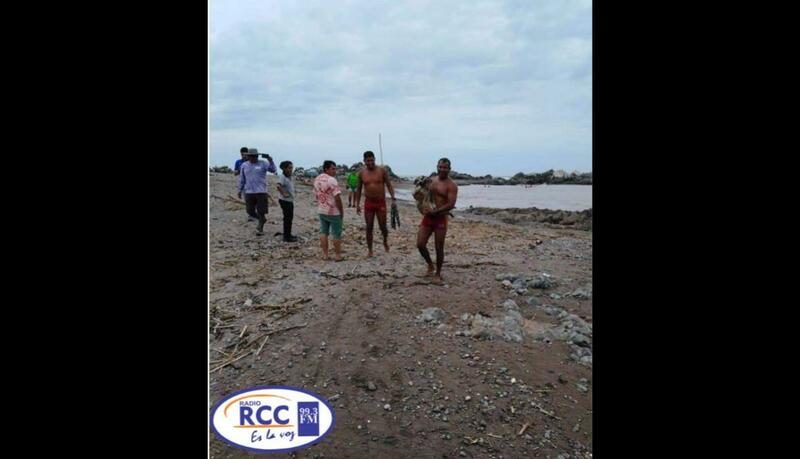 Salvation police officers manage to rescue pregnant dog, at times that was dragged by the huaico on the beach Boca del Rio in the province of Ilo – Moquegua,” . As expected, the post was soon viralized reaching over 200 reactions, 100 shares and several comments from Facebook users who did not hesitate to praise the law enforcement. “Thank you for that beautiful action”, “May God bless you for such commendable action”, “A beautiful action will always be rewarded … people like that are few … animals are also afraid …” . Love Struck Elephant Gropes Woman On Excursion into The Ocean.